The three first- class hotels detailed below are located within Carnegie Center. The Hyatt Regency Princeton, located at 102 Carnegie Center, recently completed a $19 million transformation. Meticulous updates elevate the design of 330 contemporary guestroom retreats. 32,000 square feet of re-imagined meeting space offer a fresh atmosphere with unparalleled versatility. Distinctive and inventive cuisine coupled with skillful service, add up to memorable dining experiences. A revitalized sense of arrival with a new Porte-cochere, and an upgraded fitness center, indoor pool and a new business center will provide the finishing touches to complement the Hyatt’s outstanding guest service and make for the ideal hospitality experience. 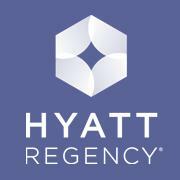 Book your Experience now by calling 609-987-1234 or visiting Hyatt Regency Princeton. The Residence Inn Princeton at Carnegie Center is located at 3563 U.S. Highway 1, directly across from the east side of Carnegie Center. The hotel has 120 beautifully appointed, large 1 and 2 bedroom suites, meeting space, fitness center and indoor pool. The Residence Inn offers complementary breakfast, evening socials and local shuttle service. It is in walking distance to a wide array of retailers and restaurants located in the MarketFair. 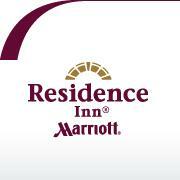 To make a reservation call 609-799-0550 or visit their website Marriott Residence Inn Princeton. The Hyatt Place Princeton is located at 3565 U.S. Highway 1, directly across from the east side of Carnegie Center. This 122 room hotel offers spacious guest rooms featuring contemporary decor with stylish furnishings, including divided living and sleeping areas, one king plush Hyatt Grand Bed™, state-of-the-art media and work center, an oversized Cozy Corner sofa-sleeper, wet/dry bar and bathroom vanity with granite countertops. Enjoy complimentary hotel-wide Wi-Fi and a.m. Kitchen SkilletTM breakfast featuring freshly prepared breakfast sandwiches, steel-cut oatmeal, fresh cut fruit and more, available daily in their Guest Kitchen. To make a reservation call 609-720-0200 or visit their website Hyatt Place Princeton. In addition, there are 16 other hotels with nearly 2,500 rooms located within 5 miles of the Carnegie Center. Click on the link below for a complete list of these hotels.